Designed for quick and easy installation of fence panels, providing a safe and secure fixture for 32mm - 50mm tubes. 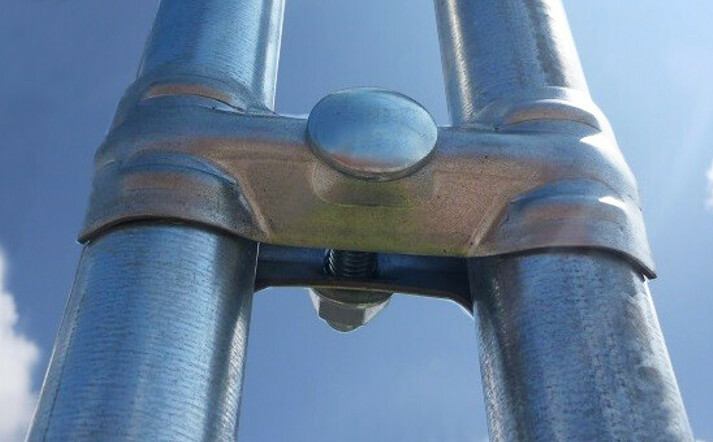 Our couplers are manufactured to the highest quality to ensure that your fence remains secure. 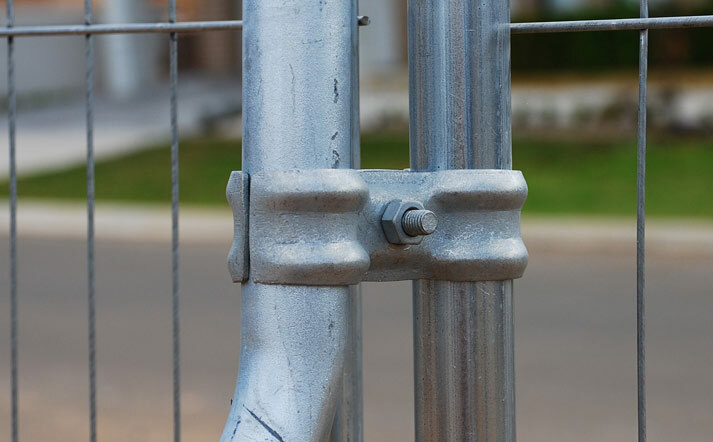 Whether you're installing 10 panels or 1000 temp fence panels, our standard couplers provide a fast and stable connection. 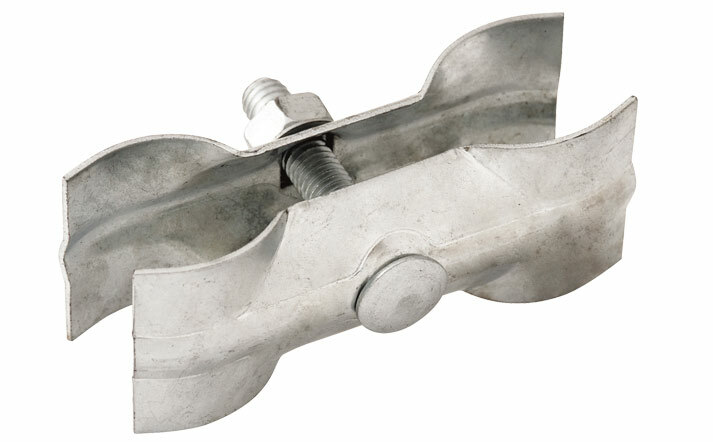 Each coupler has a single nut and bolt positioned in the centre of the clamp for ease of use. 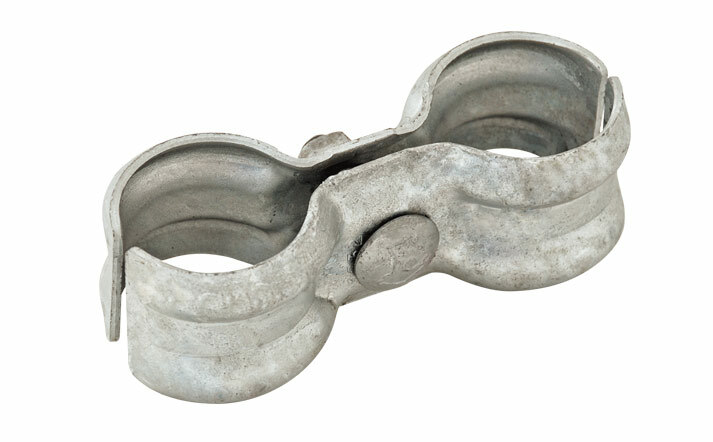 Available in heavy duty galvanized finish, Fortress Fencing couplers are a figure-of-eight shape, allowing for two vertical posts to be coupled in parallel. With 25 per box, you stock up and buy in bulk to fix your temporary fence securely around your site. We also stock a heavy duty coupler and security washers, plus application tools. 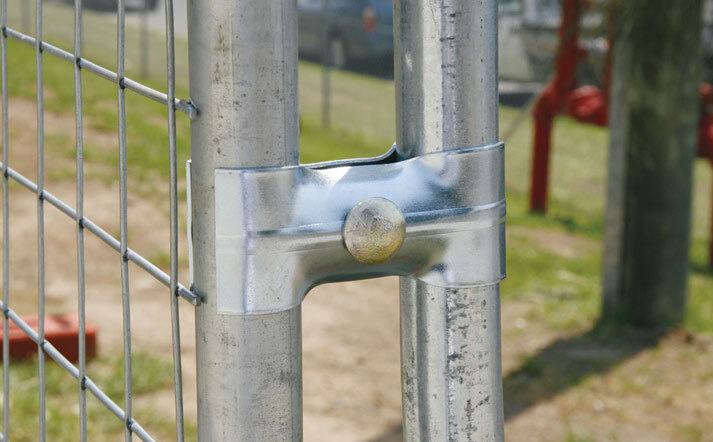 Fortress Fencing's security washer is designed to eliminate tampering or theft of fencing panels. Please get in touch with our friendly team if you require an extra secure coupling system.